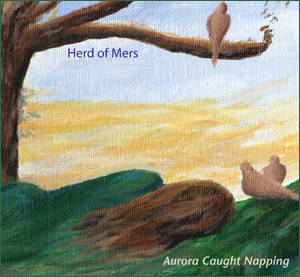 I’m listening to an advance copy of Aurora Caught Napping, the debut album from Herd of Mers, which Karen dropped off at the office today. Guitarist and principle composer Karen Orsi, along with percussionist John Orsi have delivered eight songs of varying and various emotional travels, some of which employ straightforward storytelling, while most feature changeable landscapes and meticulous maneuvers, often in the dark. And that’s the interesting bit: the wildly contrasting method of approach that these two musicians bring to the work also allows for space in the program. The lyrical content is something else altogether. 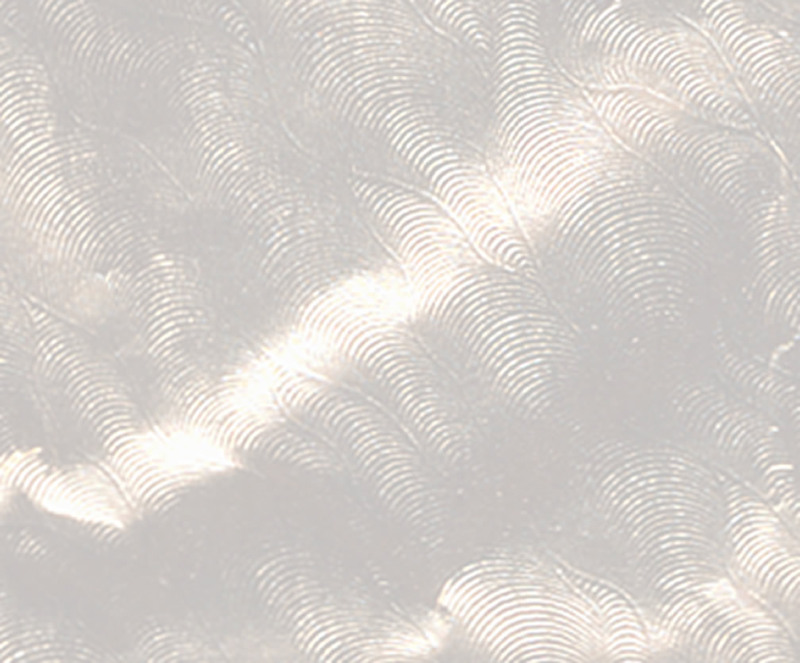 Abstract enough to allow for one’s own conclusions, but drawn familiar enough to be easily recognized. Let’s begin. Dirty Shoes. Trouble in the closet I presume. I’m trying to imagine this day in the studio. Sounds like rock music of a sort, but the stutter steps in the arrangement, the barnyard in the morning array of sounds from the second guitar part, and the playing against and across time serve to splinter all associations. PJ Harvey meets Jaime Muir for a diner breakfast. Kind of Purple. Fold features a flowing interwoven guitar picking part (you try saying that) and a plaintive vocal delivery that resounds quite near the middle of one’s forehead. There’s shaker mallet percussion, and together the whole of the tune is rendered in both an introspective and sensual manner. After a few extra seconds to allow for Fold to recede to the inner ear, the title track, Aurora Caught Napping gently pulls you back. There’s a sophistication to the arrangement. Lots of gradation in the dynamics, particularly in the chorus’, which arrive with a jump. One of those instances where just as you thought the groove was one swing, there’s a double up in power. Moreover, it sounds like great fun being had in waking up Aurora. Single Hour, ahhh, my fave performance on the album. Romance in the notation, but what appears to be a conventional display of singer and song is shifted elsewhere by this muso pairing. The vocal arrangements are particularly sparkling. There’s charming guitaring, and I’m convinced that the percussions are being played in reverse and upside down. Walls, the thoroughly modern music track, utilizing the popular beats of the day. They’re presented here with some jazz and funk quotes. A quirky and humorously played track, which balances a darker lyrical content. Midge, another of the seemingly straight forward singer with song to sing, but arranged in a type of alternative classical form. Instruments come and then they go, sometimes with statements as brief as two measures. This selflessness means for me that parts tend to stay with you longer, drifting back when you least expect it. Keep, my favorite of the raucous numbers, with a groove to take out on the highway. Which is as it should be, what with its own take on driving excitement. Perhaps the track with the most conventional approach, but having said that, there are indeed quirky seams in the mosaic. Awhile, the perfect closer for the album I think. Anthemic and highly dynamic, with a conciliatory chorus. The entire piece is heightened by all the parts being played, serving to plateau the many memorable melodies. And of course, as you’ll come to expect from this album, another twist via the unusual coda to finish things up. All in all, a terrific debut, and although my opinion is certainly highly biased, it’s an honest appreciation. Here’s hoping that you’ll enjoy riding with Herd of Mers. Daphne Dakota for it’s Twilight Time February 2008.